Parents attended a Lincoln-Way Community School District 210 board meeting Thurs., Jan. 28, 2016. Parents in a south suburban school district are fighting to prevent one of the district's four high school from closing its doors. 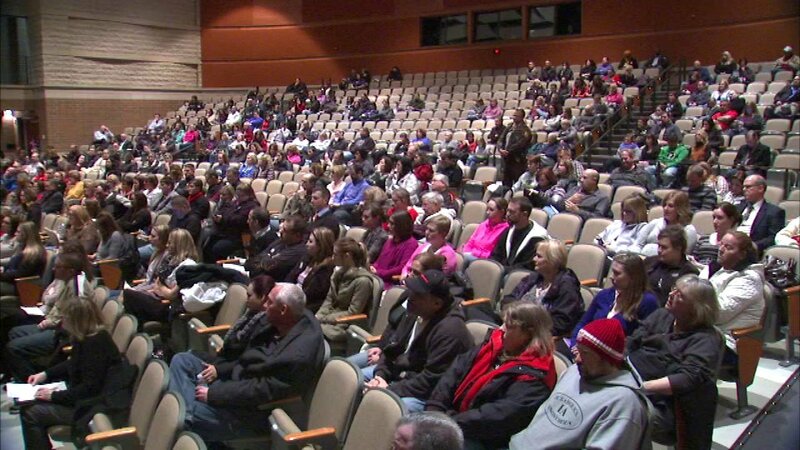 A Lincoln-Way Community School District 210 board meeting was held Thursday night, where parents voiced their concerns. Last summer, the board decided to close Lincoln-Way North High School to help with budget issues. Parents have since filed a lawsuit to overturn that decision. "I find it very disturbing that closing a school is the only option that they came up with to deal with the fiscal mismanagement that they caused for many, many years," said Karen Town, a parent. School board members filed a motion to have the lawsuit dismissed. In addition to dealing with legal and financial troubles, the school board is now trying to fill two vacancies after its president and another member abruptly resigned.